Eri Hayashi graduated in 2013 and is now teaching English in Japan. 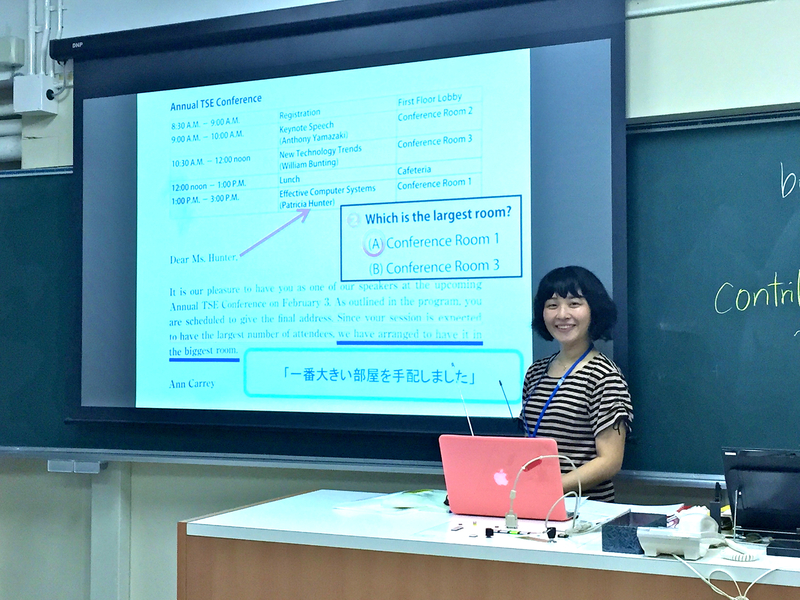 Her MA project was titled “Fostering Willingness to Communicate Among Young Adult Japanese EFL Learners Through Form-Focused Communicative Activities”. What is your favorite memory in LTS? Fortunately, I have too many “favorite” moments in LTS, so it is hard to choose! However, what immediately popped up in my mind are so many get-togethers with my cohort. There was always someone besides me both inside and outside classrooms. We sometimes had study group sessions, helping and encouraging each other. We also had parties, which helped us not only refresh ourselves between coursework but kept us very close to each other. I feel so grateful that I could have this wonderful cohort and their support throughout the program. What was most valuable for you from the program? LTS offered us a lot of valuable opportunities to think and practice. I really enjoyed the micro-teaching/teaching practice sessions and exchanging ideas with each other, so that we could improve our teaching. I also did some observations and internships both in Japanese and English classrooms, in which I could see what real language classrooms were like and try out my activities and see how they worked. The professors in LTS were all great and supportive, and I felt very fortunate to learn from them. When I started teaching later, I found that what I learned from LTS is very practical and helpful. What advice do you have for current or future graduate students? Ariel Andersen has been the undergraduate and graduate coordinator in the Department of Linguistics for almost three years. She has helped innumerable students navigate their way through the UO systems and requirements, and works closely with the LTS Director and other administration and faculty. She has had an amazing new job opportunity come up for her recently, and thus will be leaving her position with us by mid-July. Everyone in the Department will be sad to see her go. We will miss her very much! But she will leave a wonderful legacy of projects and organization that will make the next person who fills her shoes very grateful. What is your favorite part of working with LTS students and faculty? What will you miss LEAST about working in the Department of Linguistics? I won’t miss the chocolate jar sitting on my desk, taunting me all day and contributing to my cavities! But I WILL miss all of the people in the department. The graduate students, faculty, and my lovely colleague and supervisor Linda. I’m going to miss everyone so much! Eliana Lemos Almedia is an experienced EFL teacher and current LTS student from Brazil who will be graduating in 2016. My internship was a great experience. I was a teaching assistant of an IEP oral skills class. The main teacher was a native speaker of English, and had a long experience working with international students. I had the chance to work with students from different cultures and countries. I was aware that students came from different backgrounds, so I was careful how to act and how to choose the activities I asked students to take part in. It was challenging to know what was new for them because we did not share the same L1 (first language). However, as time passed, we figured it out. Working with images from the internet was a very good way to solve some vocabulary problems. Overall it was an exciting experience. The exchange with students from so many different cultures was what I liked best. I have been teaching in the LTS program since Fall 2009 when I co-created and began teaching the third in a series of courses for LTS and SLAT certificate students, Language Teaching Practice. I also advise and serve as second reader on Master’s Projects and each term I work with Keli Yerian to coordinate intern and long-term observation placements with cooperating teachers in the American English Institute (AEI). Could you briefly describe the course(s) you teach? LT4/537 Language Teaching Practice is a cohort-driven practicum-type course where the student teachers and I co-teach an actual discussion elective course for English language students studying in the American English Institute here at UO. Together students brainstorm, rehearse, give and get feedback for our weekly classes. This course gives student teachers the opportunity to put all the theory they have been learning into practice and to develop the professional skills they will need in the workplace. Language Teaching Practice was developed especially for teachers with less than two years teaching experience, so this is the first classroom teaching experience for many of the student teachers. However, more experienced teachers often take it too, and find there are still many new ideas and practices to explore. Oh, so many things! I love language teaching and so enjoy sharing that with teachers-in-training. It’s wonderful to watch new teachers’ skills develop right before our very eyes, growing more adept and reflective each week and learning from the others in the cohort. The pair of courses is fun and very engaging and has grown and changed over the years. Though I have taught these courses twice a year since 2009, each new group brings something unique and fresh and I am continually learning from my students as well. I love the practice-oriented courses and enjoy honing them a bit more each year I teach them. But perhaps the very best part is watching our students move through the program and on out into the world as our colleagues now, knowing they have had great training in our program, and have developed a strong cohort to support them beyond their time here at UO. 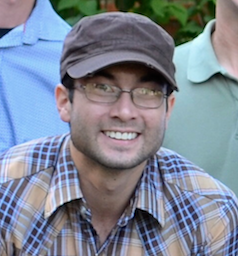 Brandon Bigelow earned his MA from LTS in 2013. For his MA Project, he designed a content-based elective history course for ESL learners studying at the American English Institute at the University of Oregon. He was later able to teach this course a few times when he became a full-time instructor after graduation. My favorite LTS memory? There are countless to choose from. The support system from both my classmates and the faculty is a distinguishing feature. There was so much camaraderie and and congratulating for finished projects and presentations…and phenomenal birthday parties. However, the sympathy and encouragement during the inevitable lows cannot be understated. I, like many others, could not have done this alone, and am tremendously grateful for the beautiful souls who were placed around me. The most valuable part of the LTS program was to get a taste of the many different aspects of teaching. The “2D language teacher” simply teaches and does a little grading. The “3D teacher” thoroughly considers the context and goals of the class, creates meaningful materials and curriculum, and works with many other people and resources outside of the classroom. And does a LOT of grading. Language teaching is an incredibly nuanced craft, but since I was exposed to so many facets, I have never felt completely overwhelmed in the teaching process. Advice? Stay positive. Stay positive. Stay positive. Take things one day at a time. Take advantage of your valuable resources (your esteemed professors). Take care of yourself too. Remember that you are not doing this alone. Ask too many questions. Give hugs. Give compliments. Give smiles. Breathe. 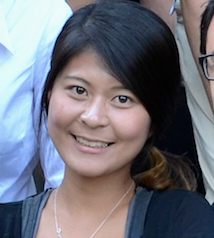 Ahyeong Kim earned her MA from LTS in 2013. She extended her stay in Eugene by doing OPT (Optional Practical Training) teaching Korean at Lane Community College and developing a curriculum project for CAPS (Center for Asian Pacific Studies). 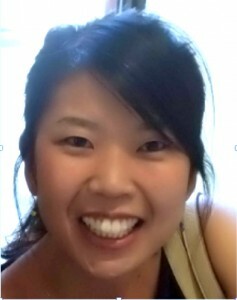 She just returned to Korea and will be pursuing additional certification to teach Korean in a public school there. Her MA Project, titled “A Project-Based Korean Course for Young Learners in the U.S.”, was inspired by her student-teaching in the Korean afterschool club at Willagillespie Community School in Eugene. Parties! I would say “Library parties” and “Birthday parties”. Our cohort got together very often for studying and socializing. There was a table (I called it LTS table) near the microform information desk where I found my classmates studying. We sometimes ended up going to a bar after a long day of studying, which was fun. We also had lots of birthday parties for each other, almost every month! LTS gave me concrete ideas of becoming a language teacher. I simply thought that I could be a teacher after finishing the program. However, I had opportunities to practice in real teaching environments throughout the program and I found myself really enjoying preparing for class and interacting with students. LTS is a pretty intensive program. Don’t be panicked though. You can achieve your goals in the program by interacting with the faculty and classmates. Ask for help when necessary. LTS faculty and your cohort are on your side. I was very fortunate to have 2012-2013 cohort and great faculty because they were willing to help me whenever I needed.